What does it mean to be a feminist today? What is the relationship between one's gender identity and one's race, class position, global location, and sexual desires and practices? How do intersex and transsexual identity change the way that we look at the relationship between biological, cultural, and psychological definitions of gender? 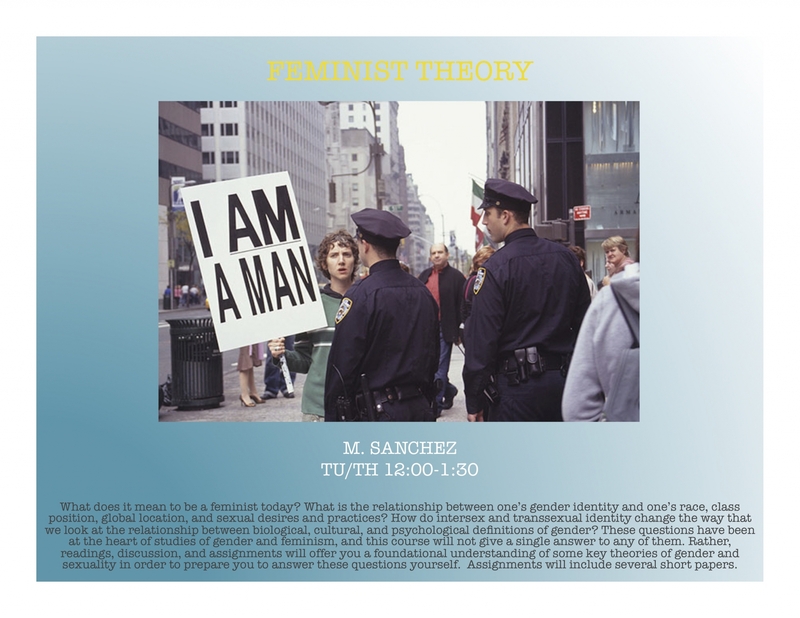 These questions have been at the heart of studies of gender and feminism, and this course will not give a single answer to any of them. Rather, readings, discussion, and assignments will offer you a foundational understanding of some key theories of gender and sexuality in order to prepare you to answer these questions yourself. Assignments will include several short papers.